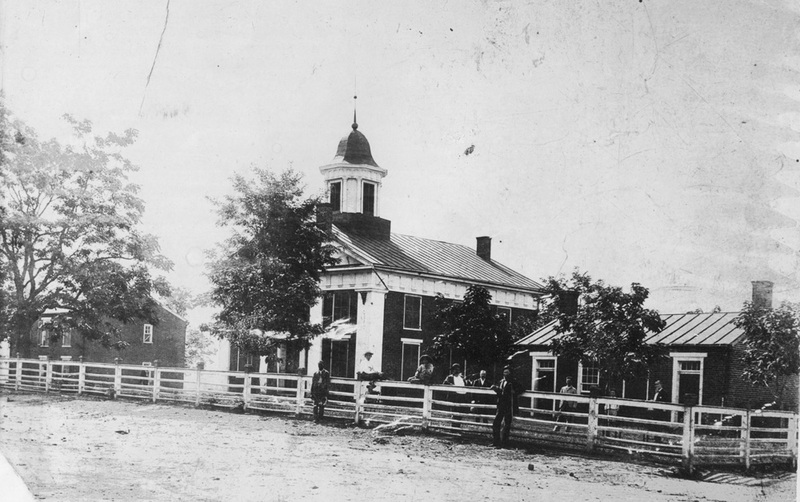 The Town of Stanardsville was established in 1794 and became the county seat when Greene County was formed from Orange County in 1838. The Town is named after its founder, William Stanard, member of a prominent Virginia family and heir to a portion of the original Octonia land grant issued in 1722. Stanardsville is one of the few intact courthouse towns that grew up along transportation routes crossing the Piedmont region. The town sits on a hill close to the Blue Ridge Mountains and Shenandoah National Park. In the 1800s, it gained notoriety as the last stop for travelers crossing the mountains at Swift Run Gap, just a few miles west of town. Stanardsville had hotels, taverns, restaurants, movie theater, and numerous shops of all kinds. It became a thriving commercial gateway to mountain businesses and the Shenandoah Valley. 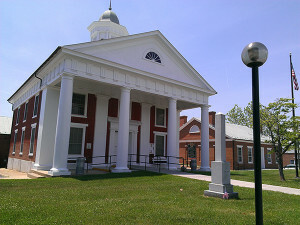 As the county seat, Stanardsville is home to the County Courthouse, County Administration Building, the Greene County Library Branch, and the County schools. 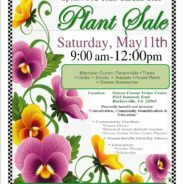 Also nearby are the Green County Historical Society Museum and the satellite campus of Piedmont Virginia Community College. Stanardsville was designated a Historic District in 2004 (see below) and is listed on both the federal and state registries of historic places. Most prominent among its historic 19th century buildings are the Courthouse (1839), Lafayette Inn (1840), the Victorian (1841), and Gibbons Store / Herring Building (1845). Several other pre-Civil War buildings, two structures built in the late 18th century, and four churches dating to the late 19th and early 20th centuries are clustered along Main Street and the surrounding area. Much of Stanardsville’s earlier commercial activity declined with the advent of large malls in nearby Charlottesville and the diversion of passenger traffic to the Rte. 33 bypass. But the townscape survives much as it did during the late 19th century, despite sporadic building fires in the early 1900s. Today, ongoing renewal efforts in Stanardsville to stimulate business activity and make physical improvements are making significant progress. Several new businesses have opened on Main Street in the past few years, including a restaurant, law office, and bank. The Art Guild is helping to establish the town as a center for artists and craftsmen, with an art gallery at one end of Main Street and a pottery/crafts store at the other. The streetscape was redone in 2013 with new sidewalks, red-brick crosswalks, landscaping, colonial-style streetlights, benches and other amenities. Thanks to another federal grant award, Phase II streetscape improvements to extend the sidewalk network on either end of town is just getting underway. With numerous B&B’s in the surrounding area, Stanardsville is an ideal tourist hub with access to many area attractions, including Shenandoah National Park, Monticello and Montpelier, University of Virginia, numerous wineries, Civil War battlefields, and other sightseeing and recreational opportunities in central Virginia. The 2010 census population count for the Town of Stanardsville is 367 people, but this figure does not accurately reflect the actual population. In fact, it represents a significant under-count. The 2006 census update estimated the Town’s population at 502 people, a far more accurate and generally accepted figure. In any case, given the Town’s small geographic footprint of 0.36 square miles (230 acres) and its many wide open spaces, its boundaries do not completely encompass the full number of people who would identify themselves as members of the Stanardsville community. A more accurate reflection of the locality’s population is closer to 1,500 people living in the town and immediate surrounding area. 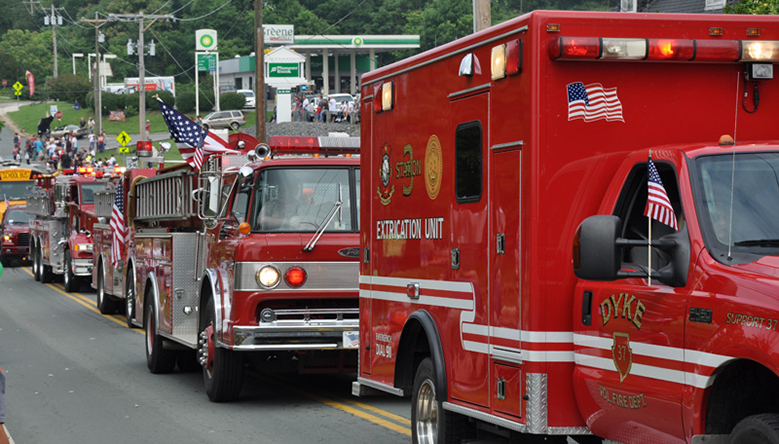 The Town of Stanardsville has grown more racially and ethnically diverse over the last decade. Based on the most current census data, 77% of the Town’s residents are White and 17% are Black, with 4% Hispanic. About one-quarter of the population is under the age of 18, while 41% are over 65. The median age is 43. The gender breakdown is 45.5% male and 54.5% female. Given the relatively small population on which these figures are based, a more accurate portrayal of the community can be found by examining demographics for the surrounding area, based on the 22973 zip code that includes the Town of Stanardsville. The population in that area is 6,191, with 91% White, 5.5% Black, and 2% Hispanic. The median household income is approximately $50,000. Fifty per cent of households in the 22973 zip code earn $50,000 and above; 20% earn $100,000 and above. In terms of employment status, 94% of the civilian labor force of 3,300 people aged 16 and older is employed. The unemployment rate of about 6% is the same as the county-wide figure. The nomination process was spearheaded by a group of local volunteers led by Julia Dickey, Virginia Fitzhugh, and Jackie Pamenter. 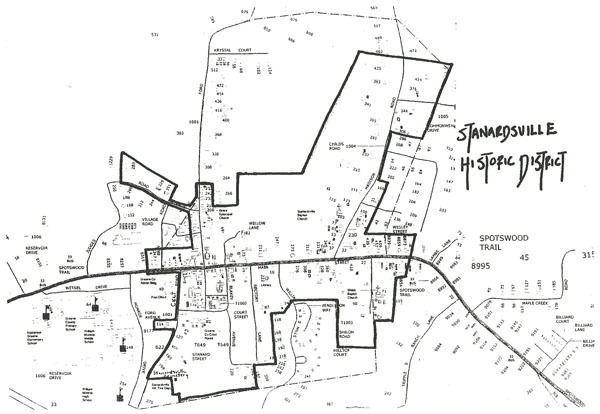 The process to produce a 50-page nomination paper included the documentation and survey of more than 100 buildings within the town limits of Stanardsville. Ranging from the 19th century Courthouse Square to mid-20th century commercial buildings along Main Street, the nomination detailed the history and development of the Town and took two years to complete. Click here to view Stanardsville Historic District nomination.